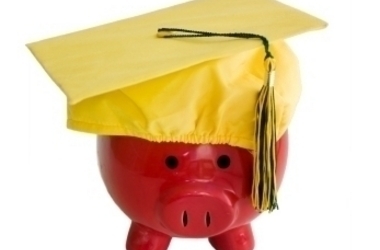 Scholarships can actually reduce the amount of financial aid you receive. •	Mark Kantrowitz, a nationally recognized financial aid expert Pardieck: Colleges and universities construct "packaging" policies, which determine how much and what types of educational support each school will provide for individual students. When a student wins an outside scholarship (one that is not sponsored by the school), the Financial Assistance Office has to reconsider (and sometimes reduce) their initial financial aid package. Kantrowitz: This may not seem fair but the school, at times, has no choice. The federal government has strict regulations concerning "over-award situations." If the financial aid from all sources exceeds the school's cost of attendance by more than $400, the school is required to reduce the aid package until it falls under this threshold. Friedhoff: But the schools are not necessarily required to take money away. That decision rests with the individual college. We've seen almost as many different policies as there are institutions. In the worst-case scenario, the school "replaces" existing institutional grants and scholarships with the outside award. The result: The student's aid dollars remain the same even though the scholarship dollars have been added. Kantrowitz: But depending on the school's policy, the student can still derive substantial benefit from the outside scholarship. For example, if the school compensates for the scholarship by reducing the student's loans (instead of reducing grants), the student actually benefits. The resulting financial aid package contains fewer loan dollars (which must be paid back) and more free money (in the form of scholarships and grants). Pardieck: The bottom line? Be sure to ask the admissions and financial assistance professionals at your college how they treat external scholarship awards. In the meantime, we'd encourage you to explore as many scholarship possibilities as you can. You may not lose anything and you may gain a lot.